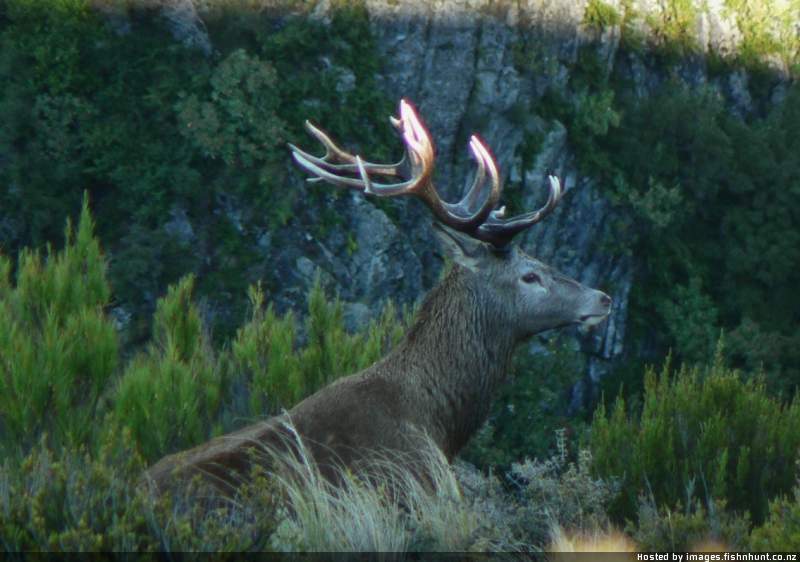 FishnHunt - New Zealands Famous Hunting and Fishing Forum Since 1995 - What 6x45 loads are you guys using? FishnHunt - New Zealands Famous Hunting and Fishing Forum Since 1995 › Firearms › Reloading › What 6x45 loads are you guys using? What 6x45 loads are you guys using? I'm about to send my Sako 75 A1 in .222 away to get rebarreled to 6x45. I've got a sporter profile Pac-Nor 8 twist cro moly barrel for it. The barrel should end up at about 20.5" long. I can seat the bullets to 2.36" (60mm) OAL. I'll be starting with Ramshot XTerminator powder. I'm just interested in what loads you guys are using and velocities achieved if you're able to measure them. I've seen one or two posts on here about the 6x45 but there isn't too much info. Re: What 6x45 loads are you guys using? I'm mostly using 75gr Sierra HP bullets behind Hodgson H335. After reading a lot of info from US forums, this was a popular loading with good speed & knockdown on deer & goats, 3130fps. I have also tried 69gr GS Custom with good results on paper but not tried on animals, 3120fps. I can only load to 58.5mm OAL so have stuck with under 85gr bullets. Keen to see your results with the 8 twist barrel. Cheers for that, Mathias. I really like the GS Custom's - use them in my .270 and are very effective. I chose the 62gr as I thought the 69gr would be too long and I hope to get them up to around 3400fps. The 8 twist barrel was one that was sitting on a gunsmiths shelf for a long time so got it cheap. I'm not likely to go over 85gr for hunting I don't think - will use the 62gr GS for Roe deer and jacketed bullets if I shoot any vermin. It will be interesting to see how it shoots the long 105gr bullets. The 95gr Sierra TMK might be an interesting one to try. The US forums rate H335 quite highly. I will give that a try if Ramshot doesn't work. The 6x45 seems like a fun round that I can shoot lots fairly cheaply, with a decent barrel life. Looking forward to it! Yep cheap brass is a bonus for the 6x45. Generally you can have an increase of about 100- 150 fps over the same bullet weight in .224 (out of a 223), so you might struggle to get 3400fps with the 62gr and a 20.5" barrel. I went with the 6x45 to up the bullet weight without a longer OAL required with the .224 bullets, esp in a Sako Vixen action. The 75gr Sierra is amazingly accurate through my set up and was the first load I tried. Yes, maybe being a bit optimistic. I'm getting fantastic velocity with 110gr GSC's in my 270 so am keen to see how much I can push them in the 6x45. Just trying to be patient while a guy cerakotes my new stock before I send rifle to smith for rebarrel etc. Here's a thread I started a while back on the 6x45 with opinions and ideas. it's got me seriously looking at the 25-45 sharps as an alternative. Thanks, Seventenths. That was a good thread to read. I did think about the 25-45 but preferred the wider choice of 6mm bullets. I thought that the .277 Wolverine looked good but it requires extra steps to make brass and doesn't offer anything over the 6x45 unless you're shooting heavy bullets IMO. Here's the finished stock with 15" LOP. Just received it back from being cerakoted OD green. Weighs 1077g and is nice and stiff. Hopefully get the rifle back from the smith in about 2 weeks. I have a cooper, M51 stainless excalibur 20" in 6x45, 1-10 twist, on order, hopefully be ready, soon, will bring to Nz to replace my .222, Looking at 60gr for small game, and 70-80gr for smaller deer, goats etc. Was hoping it would show up, for me to bring to NZ, but I fly in 20 days, six weeks off, am looking forward to sum, hunting and fishing. Bought a cooper single shot, this winter, (smoking deal) in 6x47 Remington, was at the range last weekend and got it Dailed in with 60g Sierra hp, for varmints, and 75g Hp for bigger game, very accurate, I am impressed, 1/2" easy with 60hp, and 30g BLC-2. Going to try for a couple coyotes, this weekend. will take the 6x47 rem. I've just got the rifle back. I'll try some supersonic loads in a couple of weeks. In the meantime I've sorted out a subsonic load with 3.8gr Vihtavuori N310 pistol powder under a 120gr powder coated cast bullet - great fun for shooting in the garden. Shot my first groups at 100m on Saturday. 105gr A-max seated to 2.36" OAL with 23.5gr Ramshot Xterminator and CCI450 primer. Getting around 2550 fps. Grouped around 0.75". Will maybe try one or two tweaks to see if accuracy can be improved. Bullet is around 0.11" from the rifling. I managed to get a roe buck soon afterwards so am pretty chuffed! Good stuff Looking forward to more on this. I tried shooting some 62gr GS Custom bullets (243062HV08) over the chronograph this week. COAL 2.34", CCI450 primer, Norma brass. Very compressed loads (case overflowing with last one) and I wasn't too impressed with the velocities. The GS Custom website doesn't have load data for 6x45 so went on their 6mm TCU recommendations and bought some Reloder 7 (AR2207 was another recommended powder). Much faster powders than usual for the 6x45 but these bullets are not normal! I'm pretty happy now. Will try a couple of higher charges to confirm max load then shoot some groups. Reached the limit with the GS Customs tonight. 26.7gr - 3522fps (blown primer). They are healthy velocities. You would be had pushed to get a 223 to equal that in a 60gr round. Shows how going up in bore size can produce the speed. Be interested how RL7 goes with 75-80gr.